In the past, we shared a range of games that enhance communication of climate change processes and risks. 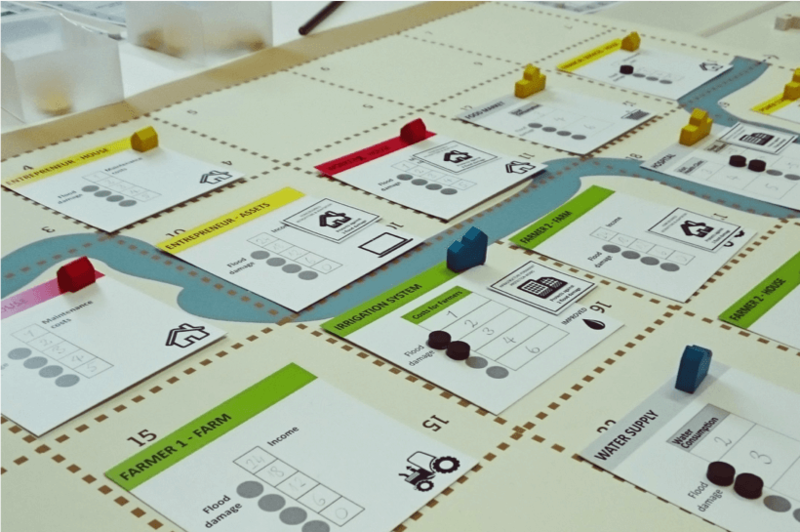 In this post, guest blogger Sarah Nobis at the Centre for Systems Solutions suggests two new climate-related games, the Climate Game and Flood Resilience Game, that help communicate climate adaptation. The Climate Game is an interactive online game designed to raise our feelings of responsibility for human-driven climatic changes. Players take on the roles of settlers on a beautiful virgin island. Covered with pristine forests and rich undergrowth, the island offers the possibility to start a brand new life. However, the utopia soon turns into a battlefield with players competing for timber, building plots, and food. And while the forest is thinning out to satisfy the needs of a greedy population, the island’s ecosystem is upset, bringing about disastrous consequences. Will the players be able to stop and reflect on their mistakes? Or will they sink with the ship? The fate of the island lays in their hands – and with the Climate Game, they learn about practices to create a sustainable system in any environment, business, or organization. Besides discovering the mechanics of climate change, players also learn skills for effective communication and collaboration. 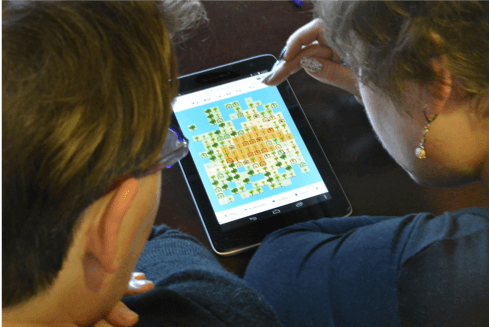 The Flood Resilience Game is an educational game that allows players to experience, explore, and learn about the flood risk and resilience of communities in river valleys. Floods are a common disaster and source of damage globally, and the number of people exposed to floods is increasing every year due to climate change. Developed by the Centre for Systems Solutions and the International Institute for Applied Systems Analysis, the game is mainly targeted at disaster risk management (DRM) and development practitioners who would like to better communicate and promote climate-related risk preparedness and response. As the inhabitants of a flood-prone valley, players are immersed in a realistic environment where they must tend to their fields or animals, run businesses, educate children, and govern natural resources to secure their future under the constant threat of a natural disaster. The game is played over four rounds, during which floods of various magnitudes strike. The sequential nature of the game allows actors to discover the underlying mechanisms and learn from their mistakes. As a consequence, players not only gain the experience and skills to protect their own assets and possessions, but realize the long-term consequences of their actions and develop new perspectives on development and sustainable resource management challenges. The Climate Game and Flood Resilience Game are both completely free and open to the public – you may run the games in your classroom, workplace, or community. To gain access, contact the Centre for Systems Solutions. Both games have been listed on PreventionWeb, among other valuable educational tools used for disaster risk reduction. You can browse more free serious games about climate change and sustainability on the Games4Sustainability platform. The website is equipped with a constantly updated Gamepedia and a blog providing inspiration on promoting and teaching sustainable development. If you are willing to share your know-how in sustainability education with others, you may submit your story by contacting the Games4Sustainability team. Did you know that Climate Interactive is developing a game on sustainable food systems in Africa? Follow our work on agricultural modeling to receive updates.